How Can a SIPP Be Used to Invest in Commercial Property? A SIPP is a tax efficient means of investing in commercial property. There are however strict guidelines which must be adhered to when holding a commercial property in a SIPP, or buying a commercial property using a SIPP. A SIPP – or self invested personal pension – is one of the most tax efficient ways to save for your retirement. The flexible pension plan allows you to invest your funds where you wish. If you choose to save in a SIPP, you could receive up to 45% tax relief on the contributions you make, plus your funds will be exempt from capital gains tax. A commercial property – such as a shop, office, bar or restaurant – can be held as an investment within a SIPP. You do not have to work from the property, or indeed rent it to commercial tenants, to be eligible to hold it in a SIPP. The commercial property will be purchased by a group of trustees, who will hold it for you. Any rental income which the property accrues from tenants is paid directly to the trustees, who will use the funds to pay any interest on the mortgage, plus meet any capital repayments. 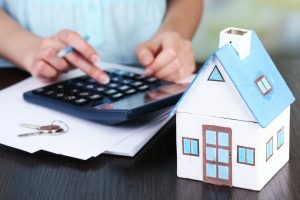 Once the mortgage – if applicable – is repaid, the property can either be sold or kept as part of a portfolio to generate income as part of a drawdown plan. A SIPP that is used to invest in commercial property typically generates positive cash flow from the rental funds which the property – or properties – accumulate. If you wish to buy a commercial property using a SIPP, you can typically borrow up to 50% of the net fund value of the SIPP to contribute to the purchase, with the funds from the rental income used to make the monthly mortgage repayments. Some SIPP plans do however limit the percentage of funds from a SIPP that can be used to invest in property, so you should always check any terms before you proceed with the purchase. There is no limit on the amount of funds from a SIPP which can be invested in property, so if you choose, 100% of the funds held in a SIPP can be invested into commercial property. The property must be purchased at a fair market value and the rental fee must be aligned with market rates. A commercial property can be owned outright by one SIPP, but if there aren’t sufficient funds in a SIPP to fund the full cost of the property purchase, it is possible for the property to be part-owned in conjunction with other owners and SIPPs. If you need any advice or further information regarding commercial property purchases, or any aspect of commercial property management, simply get in touch with our expert team who will be more than happy to help you.